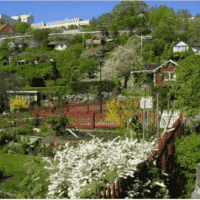 Departing from common property theory based on Ellinor Ostrom, this paper compare different case studies and experiences of who urban green commons have been managed in cities of Europe and Cape Town. This paper can be viewed or downloaded here. Dr Henrik Ernstson is a lecturer in Human Geography at The University of Manchester. In 2018 he was appointed an Honorary Associate Professor of the African Centre for Cities at the University of Cape Town.